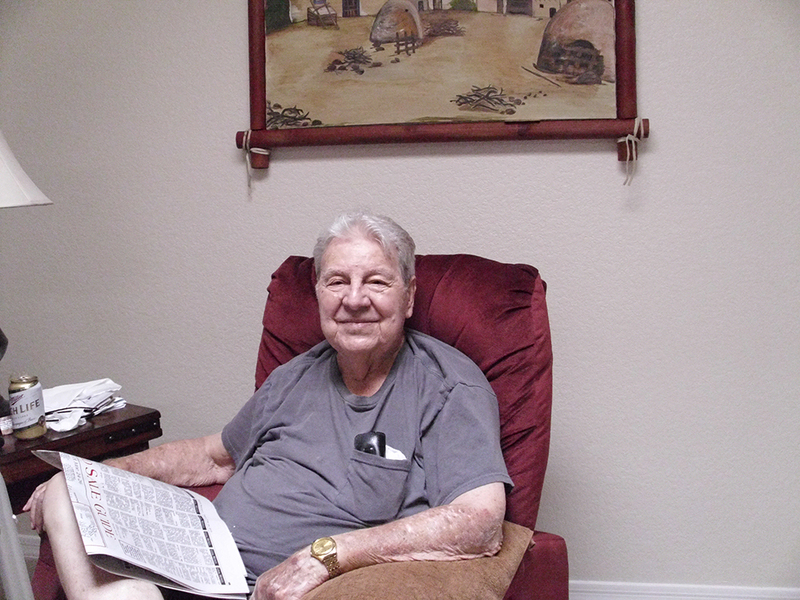 CAREFREE – “We know we don’t have to worry about him,” Don Chapman said of his father, Donald Chapman, who has lived at the Heritage at Carefree for the past year. Some of the perks include three daily meals, laundry, housekeeping, movie nights and happy hours, a library and weekly outings (for those who don’t drive) to lunch and/or shopping. Additionally, residents can decide what size accommodations they’d like – one-bedroom, two-bedroom or studio efficiency, each with its own kitchen and bath. Rooms can come furnished or residents can bring in their own items, right down to the artwork on the wall! Retirement living at the Heritage at Carefree has everything for senior living from luxury, elegance and comfort. The owners and staff care deeply about the residents and it’s evident the moment you walk in the door. Visit www.heritagecarefree.com to see floor plans, levels of care (independent, assisted living, memory care), photos and more. Phone 480-488-1622 for a guided tour. The Heritage at Carefree is located at 36590 N Pima Rd.